As the co-founder and first Headmaster of Greenhouse, Tom has been championing the mission and shepherding the vision since the turn of the century. Described by some as a Renaissance man, Tom has always been a self-learner, despite not having been home-schooled himself! A graduate of Emmaus Bible College, he has been serving various congregations and ministries for more than 30 years. Many believe that Tom embodies the servant leadership ideal to which we call our students. He and Jennifer have worked together at Greenhouse since its launch, during which time they have also raised their four children, two of whom still attend. The Spaceks live in Wheaton, four doors away from the building, and worship at Church of the Resurrection. Peter combines business leadership experience with years of service in Christian ministry. Peter founded and led three real estate development companies while serving as the President-Chairman of Foundation for His Ministry, a US-based ministry operating schools and children’s homes in Mexico. Peter graduated from Taylor University with a BS in Business Administration, and later received an MBA from Oral Roberts University, and an MDiv from Liberty Baptist Theological Seminary. Peter and his wife Debbie have three adult children. They live in Glen Ellyn and worship at Church of the Resurrection in Wheaton. Peter joined the Greenhouse staff in 2018. A life-long Anglican, the draw was strong in 2005 when Adelia joined Greenhouse. While raising her two sons, teaching them about servant leadership and focusing on helping them become all that God had created them to be was a hallmark of discipleship in their home. Though Adelia did not home educate her sons, the mission of Greenhouse ‘to raise a new generation of servant leaders who seek to serve the common good and in all things bring glory to God’ was in her blood. 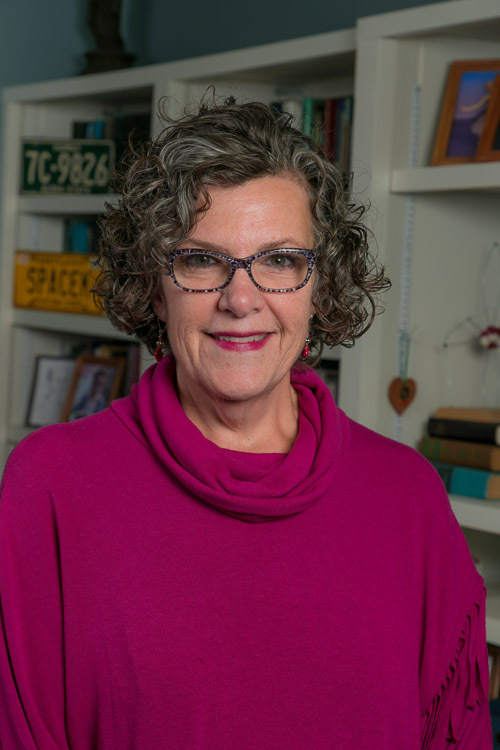 Adelia attended Florida State University after high school and, following a twenty-year hiatus, received her Bachelors in Leadership and Management from Judson College in 1997. She is delighted that both of her sons and their families—including her two adorable grandchildren—live in the Chicago area. Len has been involved in many aspects of building construction, remodeling, and maintenance over many years. He loves to keep things working to enable Greenhouse personnel to be most effective in their mission. He son graduated from Greenhouse in 2018. Venice’ worked as a dental assistant, administrative assistant and meeting planner before she got the best job in the world and became a stay-at-home mom to her two sons. Homeschooling her sons for six years and being part of the Greenhouse community have been some of their best family times. She was delighted to return as staff to the Greenhouse in May, 2018. She has lived in Illinois her whole life and is married to her high school sweetheart for 30+ years. She and her husband attend The Dwelling Place, a seed church, and are excited to be part of their administrative team. Lour graduated from Northern Illinois University with a BS in Biochemistry. After graduation, she collaborated with a research group at Argonne National Laboratory for almost 10 years when the call of motherhood and overseas ministry led her to focus her time at home with her 3 children. She and her husband Anthony spent several years in the Middle East as cross-cultural workers with International Teams (now One Collective). In 2014, because of ongoing conflict in the area, their time overseas was cut short and she returned to the US, settling in Wheaton near extended family. She recently started attending Church of the Resurrection, where she enjoys singing in the choir. Before homeschooling her three children for 16 years, Julie taught special education in the public schools of the western suburbs. Additionally, Julie has worked as a private tutor, a nanny, an administrative assistant, and an event supervisor. In July 2016, she began her own home business. Julie returns to Greenhouse on Wednesdays, having been a Greenhouse parent for six years. She and her husband, David, attend Highpoint Church in Naperville. Susie has worn many hats. She was an at-home mother of five, a day care provider, and a local news correspondent and copy editor for two Wisconsin newspapers. A sudden move landed her in Illinois as a nanny. Susie's three local grandchildren attend the Greenhouse. She's a member of Faith Community Church in West Chicago, and, in her spare time, visits her children in Minnesota, Wisconsin, and New Hampshire. Carole was born in Pittsburgh and has lived in San Diego, Minneapolis and Chicago. She has been a computer programmer, a stay-at-home mom, a graduate student, Director of Patient Accounting at Lawndale Christian Health Center, and now a retiree. Carole's move from Oak Park to Wheaton in June 2016 allows her to spend more time with her family (Samuelsons and Blasers), particularly those wonderful seven grandchildren, five of whom attend Greenhouse. She is a member of College Church in Wheaton. Carole is delighted to be part of Greenhouse helping shape servant leaders who love the Lord.